Section 43 of the National Conservation Law (2013) outlines the legal framework for Environmental Impact Assessments. 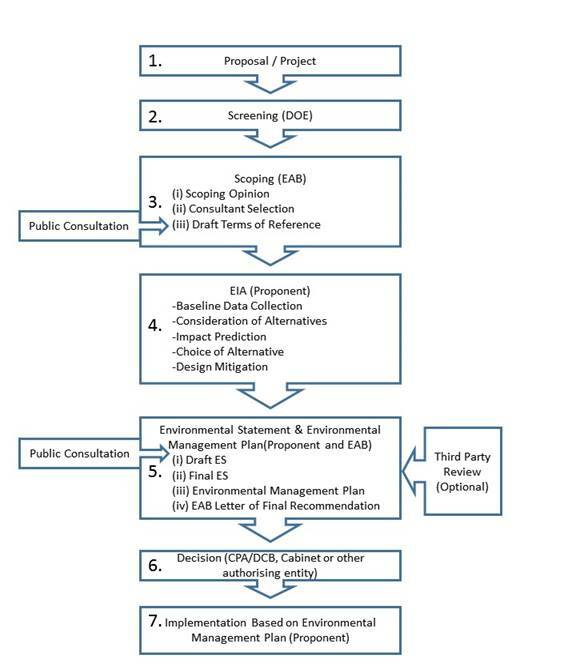 The EIA process is outlined in the National Conservation Council’s Directive for Environmental Impact Assessments, gazetted on 29 June 2016. The flowchart below provides an overview of the stages involved.